The Musée du Luxembourg is Paris' oldest public museum, having first opened its doors in 1750 (albeit in another building, the Palais du Luxembourg). It's had many incarnations over the years but has always held an important place in the city's vibrant artistic life. It was the first museum to organize a group exhibit dedicated to the Impressionist school-- a famed collection that's now permanently housed at the nearby Musee d'Orsay. In recent years, the Luxembourg museum has held major retrospectives on artists including Modigliani, Botticelli, Raphaël, Titian, Arcimboldo, Veronese, Gauguin, and Vlaminck. 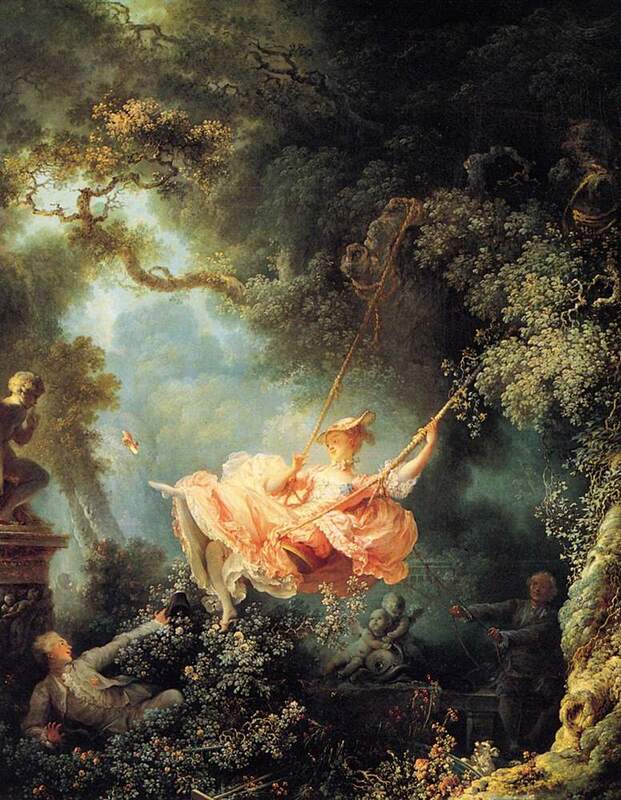 In the fall of 2015, the museum opened a fresh season with a major retrospective on French Rococo painter Fragonard (one of his paintings, entitled "The Swing", is pictured above). In addition to the main exhibition halls, the museum's location at the edge of the sumptuous Jardin du Luxembourg makes this a lovely destination for an art of artistic and cultural discovery. Make sure to explore the gardens, created by Queen Marie de Medicis and frequented by famous artists, writers, and painters over the centuries, before or after enjoying an exhibit here. The Musee du Luxembourg is located on the edge of the Luxembourg Gardens in Paris' 6th arrondissement (district). The museum and exhibit galleries are open every day from 10 am - 8 pm (open until 10 pm on Friday and Saturday). The museum is closed on December 25th and May 1st. The museum is accessible for visitors with limited mobility, and admission is free with proof of identity (and for the accompanying guest). Parking spaces for disabled guests are specially reserved. See this page for more information. You can partake in tea, decadent signature hot chocolate, and other goodies at the Angelina tea room located on the premises. When the museum initially opened, it housed around 100 paintings, including a series of 24 paintings from Rubens of French Queen Marie de Medicis, as well as works from Leonardo da Vinci, Raphael, Van Dyck and Rembrandt. These would eventually find a new home at the Louvre. In 1818, the Musée du Luxembourg was reimagined as a contemporary arts museum, celebrating the work of living artists such as Delacroix and David, all celebrated names at the time. The current building was only completed in 1886. The first, and notorious, exhibit of major works from the Impressionists was held within the existing premises, featuring works from Cézanne, Sisley, Monet, Pissarro, Manet, Renoir, and others. Their works, considered scandalous by many critics at the time, were eventually transferred to the now-famous collection at the Musée d’Orsay. When the Palais de Tokyo opened in 1937 as a new center for contemporary arts in Paris, the Musee de Luxembourg closed its doors, only re-opening in 1979.